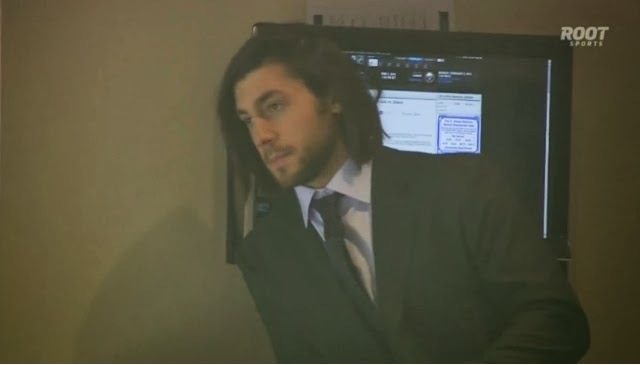 When Kris Letang was scratched from the Pens game against the Kings in Los Angeles, jokes about hairdressers were all the rage. When his absence stretched into two, then three games, those jokes quickened into something else: concern. Tribune-Review columnist Rob Rossi is reporting that Letang will not play in the Pens' final game prior to the Olympic break, a 7:00 PM tilt against the Rangers at Consol Energy Center. The Pens, as reported by Rossi, plan on addressing Letang's issue Friday morning. Pens Initiative will keep an eye on the situation as it unfolds while wishing Kris a speedy recovery.